All our staff are highly experienced within the fresh produce industry, benefiting our customers with a high level of product knowledge. As the face of our business we see the importance of employing drivers who are polite and informative and arrive at our customers with a smart uniformed appearance. A major part of our success is down to our relationship management of customer and supply chain networks. These relationships have been established over many years and all are treated as friends. Suppliers are all approved to ensure that food standards are met including safe use of pesticides, traceability and HACCP along with a consideration for the environment. We have an ongoing program of pesticide residue testing and auditing to ensure compliance. We have always seen our suppliers as long term partners in the growth of our business and believe passionately in establishing strong links between growers and chefs. Offering transparency and provenance from field to fork is very important to us and we often conduct tours and open days where our chefs, retailers and buyers can meet our growers discussing future lines and increasing their produce knowledge. 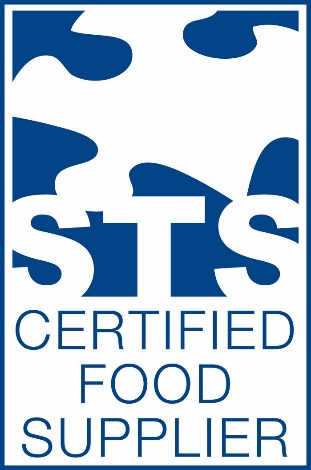 As an approved Sustianable Restaurant Association (SRA) supplier we are keen to promote local sourcing and responsible supply chain management. Our approval demonstrates our progressive approach and ethos towards sustainability within the business and our keeness to work with our customers to become more environmentally sustainable. Recent growth has seen us aquire a larger new STS accredited bespoke warehouse.